Chisinau, 24 May 2018 – The new National Program on Sexual and Reproductive Health and Rights 2018-2022, recently approved by the Government of the Republic of Moldova, aims to improve the access to and the quality of services, and to inform the population in this regard. Thus, the basic human right to decide freely and responsibly on the number and spacing of their children and the right to adequate education and information in this respect is to be fulfilled. The Program’s cooperation and implementation mechanism was discussed during a policy dialogue organised in Chisinau by the Ministry of Health, Labor and Social Protection in partnership with the World Health Organization (WHO) and the United Nations Reproductive Health and Rights Agency (UNFPA). The current needs for modern, client-centered family planning methods and sexual and reproductive health services remain largely unmet. Only one third of the women of reproductive age in the Republic of Moldova use modern contraceptive methods. This rate is even lower among young people. The new National Program on Sexual and Reproductive Health and Rights is going to increase the access to these services, providing a level playing field for all individuals, regardless of their age, ethnicity, residence, social or health status. At the same time, the mechanism estimating the needs for modern contraceptive methods as well as the procurement and free distribution thereof to vulnerable groups will be strengthened. The quality of services will be enhanced by observing the right to free choice of the contraception method, counseling, informed consent and other important aspects aligned with the international standards and requirements in this realm. ‘The Ministry of Health, Labor and Social Protection has committed itself to provide quality and affordable medical services to the population. In recent years, a number of measures have been taken at national level to improve the sexual and reproductive health. Regretfully, a large proportion of women in our country do not fully benefit from these services. 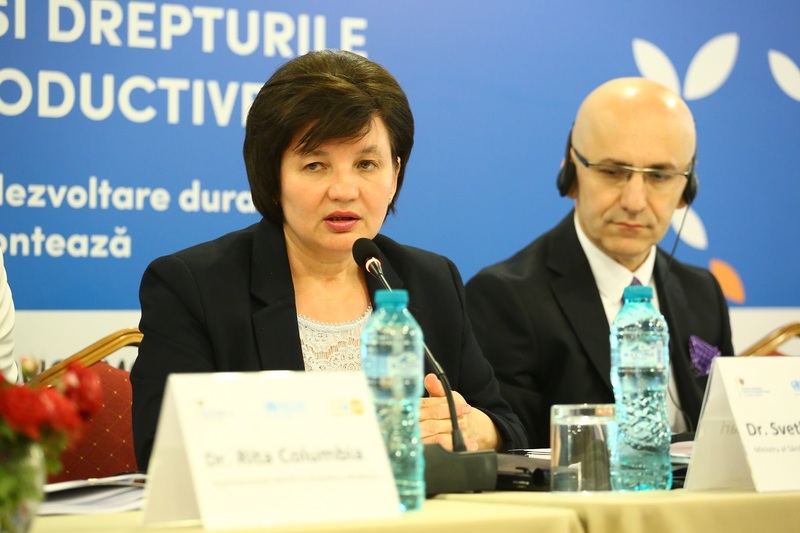 This Program is extremely important for improving the access to and the quality of services provided equally for everyone’, the Minister of Health, Labor and Social Protection, Svetlana Cebotari, said. The new strategic document on sexual and reproductive health and rights, developed with the technical assistance provided by WHO and UNFPA, is the result of a coordinated participatory process involving national and international experts. Its development was built on the good evidence-based practices, strategic documents, and the lessons learned at national level during the implementation of the Reproductive Health Strategy 2005-2015. “The endorsement of SRH National Pogramme by Moldova demonstrates the country commitment to ICPD Programme of Action and 2030 Development Agenda. The SRH National programme is based on the regional SRH Action Plan and reflects the country priorities in advancing sexual and reproductive health and rights of people in Moldova. Universal access of women, men and young people to client oriented, quality SRH services means not only better health outcomes; it means realization of human rights and the opportunities for social and economic development in each country and entire region”, Dr. Tamar Khomasuridze, Sexual and Reproductive Health Adviser for UNFPA's Eastern Europe and Central Asia Regional Office, added. The National Program on Sexual and Reproductive Health and Rights 2018-2022 is in line with the National Health Policy of the Republic of Moldova 2007-2021, National Public Health Strategy 2014-2020, 2030 Agenda for Sustainable Development, European Action Plan for Sexual and Reproductive Health, Global Strategy for Women’s, Children’s and Adolescents’ Health.